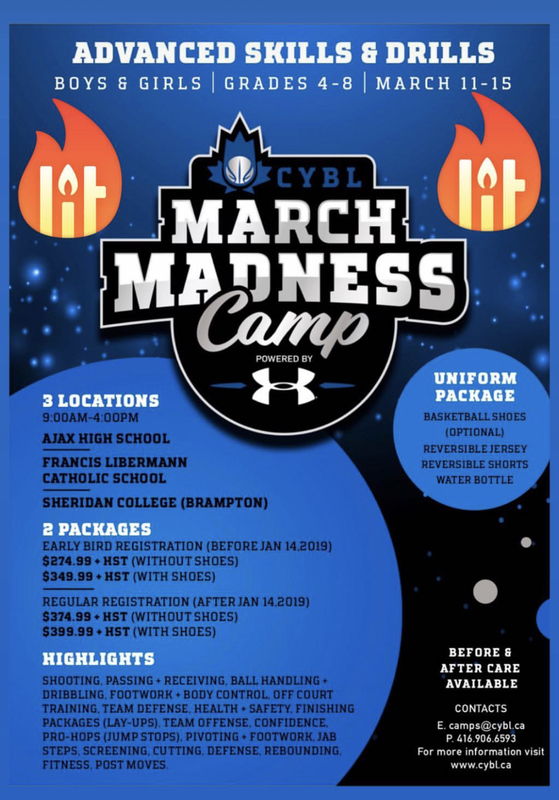 As part of the BMBA program offerings, Brampton Minor Basketball Association will be offering development camps for all skill level players for both boys and girls. The goal of the development camps is to bridge the off-season from summer to winter programs as well as offer all those who wish to have supplemental training from the clubs top coaches and technical staff during a time that there is no basketball scheduled. 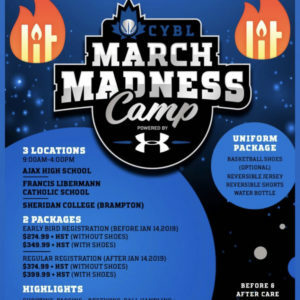 Camp sessions will be run and overlooked by the clubs technical staff and/or valued partners of which will be implementing age and stage appropriate basketball activities to ensure the athletes proper development. The BMBA development camps is open to all players of ALL abilities and the camps are designed specifically for advanced, recreational, and beginner players wishing to gain extra training and improve their technical skills in a fun and structured environment. All registrations will be done online. Once camps open up for registration they will be listed below. Please note each session will have a maximum number of players and will close once registration is full. Create your BMBA account now to stay up to date with our programs and follow us on all social media outlets.